The Mozambican government and aid organizations are struggling to respond to the needs of 150,000 people displaced by recent flooding in the country’s southern Gaza Province. Residents of Chókwè, one of the worst-affected districts, were forced to flee to higher ground when water levels in the Limpopo River started rising rapidly on 22 January. Thousands of the displaced fled, mainly on foot, to a camp in Chiaquelane, 30km away, where they waited for the government and aid agencies to start distributing emergency food rations and tents. For Argentina Guamba, a resident of Liondo, near Chókwè, it was not the first time she had been forced to flee to Chiaquelane. She and her family stayed there for two months following the devastating floods in 2000, which displaced almost one million people. She lost everything then, and now she fears she will lose everything again. During the initial days of the crisis, tents provided by the Mozambique Red Cross Society were only able to provide shelter to about 500 people. Trucks carrying rice and emergency kits started arriving on 24 January. According to UN representative Lola Castro, aid was being distributed as fast as possible. By 26 January, however, only a fraction of the estimated 54,000 people staying at the camp had access to a tent or a tarpaulin. By 26 January, people were still arriving on foot at Chiaquelane and several smaller camps in the area, while others were being rescued by helicopter from rooftops and trees. “What we are trying to do here is to organize the chaos,” said Ana Cristina Joao Manuel, national director of prevention and mitigation in Mozambique's National Institute for Disaster Management (INGC). “The first priorities are basic needs such as water and sanitation. We are repairing water pumps and building latrines. The [UN] World Food Program is distributing food. “It is difficult to help everybody at the same time... but as soon as the floods began, the government started to work. There will always be complaints in a situation like this. It is natural,” added Manuel. Administrator of Chókwè, Alberto Libombo, who is helping to coordinate the distribution of aid, explained that food is being handed out through neighbourhood secretaries - local administrators - rather than individuals. "There is not much food, but at least enough for one meal a day,” he told IRIN. Castro noted that the international community is responding to the crisis, but that they were waiting for a request from the government to scale up operations. According to a 28 January statement by Ignacio Leon-Garcia, regional head of the UN Office for the Coordination of Humanitarian Affairs (OCHA), more support is needed, particularly in the areas of shelter, food, water, health, protection and logistics. Shortages of medicines, oral rehydration salts and mosquito nets have also been reported, with cases of malaria and diarrhoea already occurring at the camp in Chiaquelane. Several days of dry weather saw floodwaters starting to recede in Chókwè and Guija, another severely affected district, but by 28 January, the rain had resumed, making the need for more shelters acute. Meanwhile, a storm system is forecast to bring heavy rains to northern Mozambique between 29 January and 4 February. "Mozambique, in dealing with the floods in the south, is already stretched to capacity, therefore additional flooding in the north could have serious humanitarian implications," said Leon-Garcia. Most people IRIN spoke to at Chiaquelane wanted to return to Chókwè as soon as the water levels receded, despite the high risk of being affected by floods again. 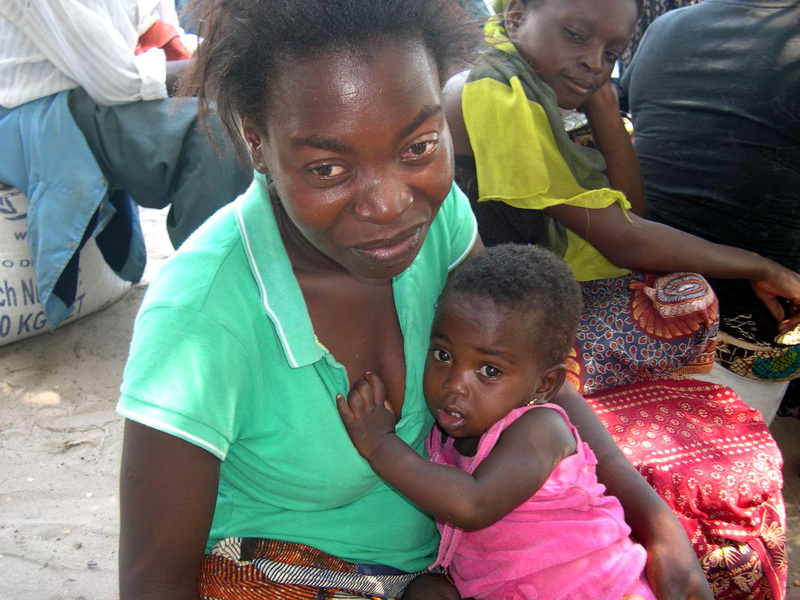 Olga Chissano, a single mother of four small children, was not so sure. She lost her house during the 2000 floods and has now left behind everything she had managed to reconstruct. “I am not sure if I will go back again. I am not sure at all," she said.